Just saved an extra $27 (15%) placing an online Kohl's order using the Honey extension on my Chrome web browser. 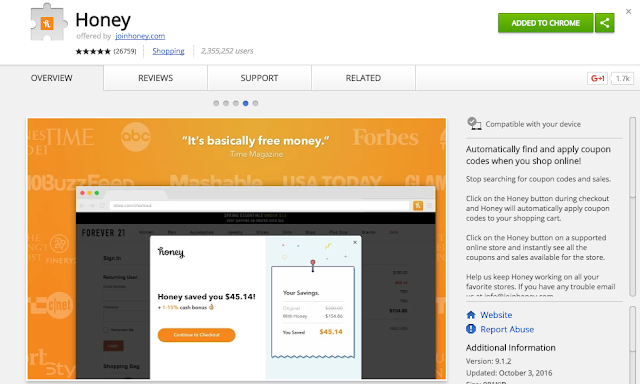 It automatically goes to work during checkout to try numerous coupon codes and selects the one (if any) that provides the largest savings (I love savings). You literally don't have to do a thing and savings appear. Sweet!